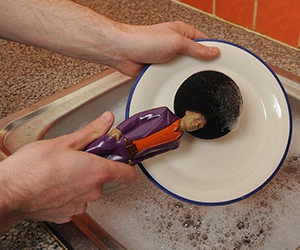 Washing the dishes is not the most fun thing you could do, but it can be a bit more amusing using the King of Disco Washing-Up Sponge. This groovy disco dancer will get your plates clean and singing in no time. The soul mover will become your best pal in the kitchen while you dance the dirt away! The sponge could serve also as a funky gift for a friend. 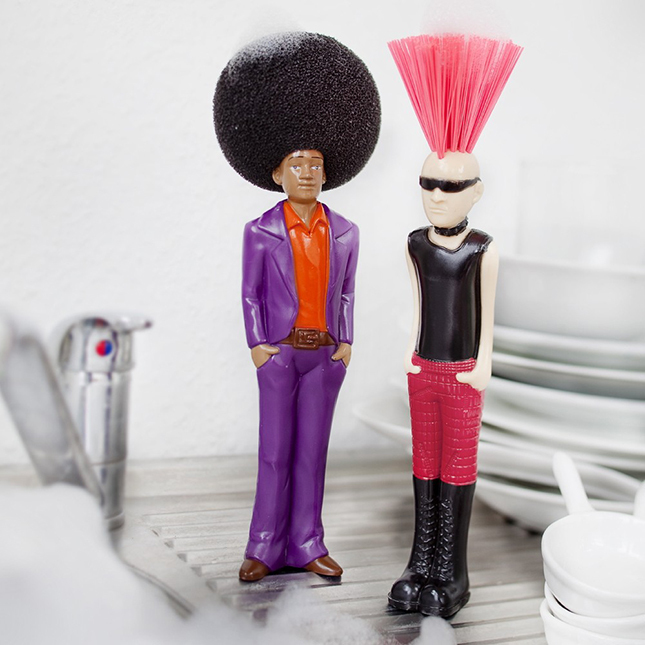 Don't miss also the Punk Washing-Up Sponge!